The AI train continues to steam along. What, if anything can stop it? Certainly in 2018, we’re not expecting any slowing. Will issues of Responsible AI rear their heads? Will new AI laws and regulations slow down AI research and funding? Will Elon Musk finally chill out or will his comments cause a real chill in AI? Will the sucking sound of talent away from AI universities cause a collapse of AI talent or a chill in AI Research? Is AI over-hyped and are we in a bubble? Certainly any of these things are possible, but given the huge amount of wind in the sails of AI, we just don’t see AI slowing down much, if at all, in 2018. This means no AI Winter in 2018. We talked about the AI winters in our AI Today podcast (“AI Today Podcast #005: The AI Winters”) and follow-on research (CG03: The AI Winters). Our conclusion then, and still is, that we are becoming so used to AI as part of our daily lives now, that to remove those AI-enabled capabilities or slow down development would be not feasible. We’re certainly not the only ones to predict that the AI Winter isn’t coming soon. What we’re predicting is actually the reverse. Companies will more fully embrace AI, and as a result, the funding and support for AI will only continue to grow. Specifically, we’re starting to see companies like Microsoft and Google position their whole business around AI, making them “AI First”. We’re not entirely sure what this means as far as the changes to their businesses, but if they’re willing to put their shareholders on notice that AI will be as important as the Internet and Mobile (two previous “x-first” strategic positionings), then we can tell our enterprise and vendor customers that they too can feel comfortable making their businesses AI-first. And if not AI-first, then at the very least, AI-centric or AI-enhanced. This is why this prediction is important for 2018. It’s not just that the AI Winter isn’t coming, but rather, any fear of its approach should be put aside. Companies can, and should, feel comfortable investing in AI for both the short and long-term. Exciting opportunities for AI to help with scientific discoveries are happening. Two new exoplanets were recently discovered with AI thanks to Google’s collaboration with NASA’s space telescope Kepler. An AI system can help weed through and analyze the loads of data collected from the Kepler telescope and help to continue to find new planets, stars, galaxies and more. With all the data it can analyze we’re sure that the AI system will be able to help find lots of exciting things in space. We’ve also seen how AI can help in the medical field. AI systems have been able to successfully diagnose patients and help make treatment recommendations. IBM’s Watson for Oncology has been helping doctors for some time now with cancer treatments. We’ve also seen AI be more accurate than doctors at predicting heart attacks. The AI computer programs were 7.6% more accurate than doctors at predicting heart attacks, and since heart disease is the leading killer in the U.S. this has immediate life-saving implications. 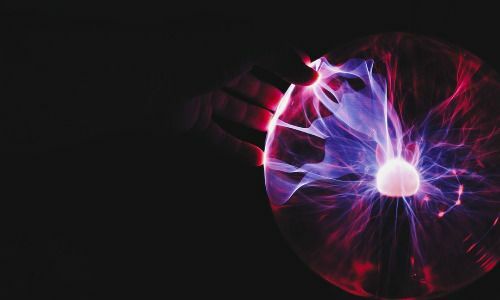 We’re predicting that AI will not only continue to push many fields of science, such as space and medicine, but be directly attributed as the source for new discoveries. Perhaps AI will be credited for the discovery of some new cancer-fighting drug? Maybe AI will be acknowledged in the press for addressing a major public health issue or helping fix our broken health care system? Or perhaps will it result in the ultimate win in space science: the unrefuted discovery of alien life? Who knows what AI will be responsible for, but Cognilytica feels safe in the prediction that AI will be acknowledged in 2018 for making some big advancement in science. For our enterprise and vendor customers, all this public, positive attention for AI will really help. It will help dispel the fears folks have about AI and maybe keep Elon Musk quiet. One of the most interesting developments of the past year is the emergence of the area of Explainable AI (XAI). As we discussed in two of our podcasts this year (“AI Today Podcast #015: AI Explainability & More – Interview with Mark van Rijmenam” and “AI Today Podcast #016: Explainable AI (XAI)”), as AI becomes more and more part of our daily, critical decision-making and business operations, the need for more visibility into AI decision-making processes becomes imperative. Currently research and implementation of XAI is in a very nascent stage. But without good XAI And AI Governance, implementing any sort of mission-critical AI system will become impossible. At the first sign of trouble, risk-averse corporations and public sector agencies will pull the plug on their AI initiatives. Indeed, without XAI, it’s hard to see how AI will be successful. In the past year, we’ve seen some major moves around XAI, including the expansion of a DARPA project around XAI, a $1.4 Million grant to UMass Amherst to explore XAI, professional services firms like Accenture adding XAI to their portfolio, commentary about how we don’t really know why Deep Learning works the way it does, causing transparency issues, and an exposé into how a judicial system was (mis)using AI to sentence convicted criminals. The pace to adopt XAI will only increase in 2018. It has been reported that in 2018 the European Union will start enforcing a law requiring that any machine-generated decision made be readily explainable. We have heard first-hand from decision-makers in both public and private sectors that mission-critical deployments of AI will only happen once the governance and explanation frameworks are in place. For this reason, we believe that XAI will emerge from the shadows into the limelight. We believe it so much that we’re running an invite-only workshop on this topic. Stay tuned for more coverage on this area from us in 2018 as part of our Responsible AI coverage area. In one of our podcasts this past year, Should we regulate AI? If so, how?, we talked about how as AI becomes more a part of our everyday lives new laws and regulations will need to be created and enforced. Already in 2017, we’ve seen the start of what could be a busy year for AI regulation in 2018. The European Union is eyeing a raft of rules on use of Artificial Intelligence, the US Congress has AI on its docket for next year, and we’ve already started seeing new legislation focused on autonomous vehicles (AV). Many cities across the U.S. have already started allowing AVs on the road yet no federal laws or requirements have been put in place for exactly how these vehicles should operate. Passing a bill has been tricky since the federal government regulates how vehicles are built (such as seat belts, steering wheels, and gas pedals) but states regulate operation (such as traffic laws). The use of AI for self-driving vehicles really operates in a murky grey zone in the middle. Cognilytica predicts that one or more of these laws will get on the books in 2018, and specifically, we believe a new AI law geared towards self-driving vehicles will be passed in 2018. It appears that Congress is currently proposing a bill focused on self-driving vehicles. People want to feel safe while driving on the same road as an AV. To accomodate the needs for safety while helping the automotive industry innovate, it’s inevitable that some sort of regulation will need to be put into place. Our enterprise customers in the automotive industry, and the tech companies that support them need to keep a watchful eye on this space. Our AI Laws & Regulations focus area will certainly be covering the developments here. Public sector agencies need to stay in the loop on what’s happening world-wide with regulations as well, and companies need to be able to build vehicles to fit within the guidelines. In our AI Today podcast interview with Sam Huang from BMW iVentures, the R&D time to design and build a car takes many years, so these new laws will have major implications for both tech and auto companies working on the latest AI-enabled vehicle technology. 2017 was the year of the AI freak out by Elon Musk, accompanied by fellow headliners Bill Gates, Stephen Hawking, and more. Of course what makes this party more fun is when Mark Zuckerberg and Rodney Brooks jump in with the counter position. Why was 2017 the year that all of a sudden these folks who didn’t need the spotlight decide to jump in and stir the pot of fear? As we discussed in our “Should We Be Scared of AI” podcast and follow-on research, the combination of general anxiety around AI, the fear of mass unemployment, bad actors doing bad things, and AI systems getting too powerful seemed to have reached a head in 2017. Yet what is the real basis behind this fear in 2017 and will we see more of this anxiety in 2018? We don’t think so. We believe that the folks who sounded the alarm bells were heard by the industry, and perhaps that’s all they really wanted. Indeed, the increased attention on XAI, the emergence of conversations around AI laws and regulations, and some self-limiting on AI capabilities is resulting in a more responsible approach to AI. Furthermore, we’re starting to see real usage of AI within enterprises, public sector organizations, and a real blossoming of AI startups that seem to suggest that optimism and opportunism are winning over pessimism and fear. As such, we believe that the general fear-mongering in the press and on twitter will slowly dissipate over 2018. In 2018, we expect this sort of AI fear mongering to subside as the real world use cases of AI become an increasing part of our daily lives. Indeed, the press surrounding the latest iPhone face-recognition technology, and the technology that powers it, seem to indicate that consumers want more and more of that technology and not less. Augmented Intelligence is a term we’re heard a lot in 2017. Big enterprise vendors like IBM are betting that Augmented Intelligence will beat out Artificial Intelligence in the short-term for enterprise spending. And indeed, throughout 2017, our briefings with public and private sector enterprises showed that organizations are adopting augmented intelligence to enhance, rather than replace, human workers. Augmented intelligence can enhance workers by helping them keep up with the latest business rules or gain faster and more accurate insight. Augmented intelligence is meant to assist a human and make them better at their job. It helps with managing customer relationships, avoiding decision-making bottlenecks, managerial tasks such as financials, suggesting medical treatment for certain diseases and ailments, and more. We’ve also seen how augmented intelligence has played a role in life sciences and other mission-critical activities where a human is still needed in the decision-making or analysis process. Cognilytica predicts that we’ll start to see augmented intelligence a lot more in 2018. In particular, our conversation with enterprise clients are showing increased budgets for AI-enabled projects of the augmented intelligence kind. We’re starting to see more bids for augmented intelligence projects from public agencies as well as industries ranging from banking, insurance, and finance to automotive, manufacturing, and retail. 2018 will be the year where we say augmented intelligence but can’t find a good acronym for it. Cognilytica is already advising our enterprise clients that the best entry point for AI in their organization is augmented intelligence. Adoption of augmented intelligence will increase in productivity in your workforce without much increase in costs, meaning you’ll be able to get more work done with the same amount of people. Likewise, it will help automate tasks in customer service, supply chain management, and accounting. We’re also advising our vendor clients that this is a great time to showcase how your augmented intelligent systems can make an immediate positive impact on business, rather than focusing on more complicated or abstract AI initiatives. In one of our AI Today podcasts this year (“AI Today Podcast #010: AI, Universities and the Knowledge Gap with Steve Kuyan of FutureLabs”), we talked about the thinning ranks for experienced AI professionals. As companies fight each other for turf in the increasingly competitive AI landscape, they are rapidly gobbling up as much skilled talent as they can find. For better or worse, much of this skilled talent is in the form of researchers, faculty, and PhD students… and sometimes not even graduated students. It’s becoming harder and harder for major AI research institutions and universities to retain their faculty and skill researchers when big technology vendors are waving half-million dollar salaries with signing bonuses at them in attempts to woo them to their employ. Of course, the major problem with this is that if there’s no faculty available to train the next generation of AI implementers, then the flow of talent will quickly stop. Likewise, without research that expands the horizon of what AI is capable of, we’ll quickly end up in a place where the only innovation is coming from short-term corporate thinking and not longer-term innovation. Unfortunately, we at Cognilytica see this problem only getting worse in 2018. The available pool of talent is not expanding at a rapid pace, and the level of experience and breadth of knowledge needed to go from AI-newbie to AI-expert is significant. There have been talks about implementing a “salary cap” on AI hires, but in the hyperfast, no-holds-barred world of AI tech companies, such salary caps would be impossible to implement and meaningless. The bigger issue is that academic and research institutions need more effective ways of retaining their faculty and experts.Companies like Uber are continuing to hire so many research faculty out of leading AI universities like Carnegie Mellon that there are hardly anyone left to teach the subject. As a result, some of the more deep-pocketed AI technology firms are starting to run their own training programs to “up-skill” their own employees. However, this leaves less-deep pocketed tech companies and firms in developing regions scrounging for whatever is left. If you’re an enterprise company looking to bring on your own in-house AI talent, consider that to be an almost impossible task. Enterprises will have to outsource their AI expertise to the vendors, consulting firms, and third-party agencies because they simply won’t have the resources to compete for that talent. This is good for those firms that have that talent, but in this arms race, the talent can pick up and leave whenever and wherever they want to. This problem will just get much worse in 2018. Prediction 8: Assistants, Assistants, Everywhere! Voice assistants are getting so cheap that sellers are making it nearly impossible NOT to buy one. Amazon claims that millions of Alexa devices were sold over the Black Friday timeframe bringing Alexa into the home of millions more potential customers. Amazon continues with their market strength with a partnership with Microsoft, merging their intelligent assistants together, and a deal with Sonos to make their smart speakers even smarter. Perhaps even more importantly, Amazon released Alexa for Business, which aims to put an Alexa device on every conference room table and in every cubicle. And Amazon released this head-scratching Alexa-enabled device in 2017 as well. Will 2018 be the year the enterprise embraces the voice assistant? Or will privacy concerns in business outweigh their usability? However, Amazon is not alone in the voice assistant business. In fact, 2018 will be the year the major rivals challenge Amazon’s dominance with voice assistants. In October, Google introduced a cheaper version of it’s Google Home device, called Google Home Mini, competitively priced to Amazon’s Echo dot and with richer features including free phone calls to anyone in the US. Apple is also entering the market with the Apple Homepod expecting to be released in early 2018. And competition is getting fierce overseas as well: Yandex, a well known Russian company, recently released Alice, a voice assistant whose voice is provided by Tatyana Shitova, an actress who dubbed in for Scarlett Johansson in the Russian language version of Her. Challenges still exist for voice assistants. Word from Amazon and Google is that 2018 be the year that we finally get voice authentication in our devices, enabling a much broader range of voice applications. Also, the lack of a real “app store” for voice apps is keeping development of voice skills low without a monetization incentive. Perhaps with Apple entering the game with their huge app store advantage, and Google with their strength, we’ll see the voice assistant platforms providing a way for developers to monetize their voice skills, even though it seems Apple is missing the boat on this one. This would then have a dramatic impact on the number and quality of voice apps available for consumers. Given this widespread availability of assistants, 2018 will no doubt be the year of assistant-enabled everything. Companies that do not have an assistant-enabled commerce strategy will be left behind, as we discussed in our AI Today Assistant-Enabled Commerce podcast. As mentioned in the podcast, companies that create skills now will have first mover advantage as voice assistants continue to gain popularity. 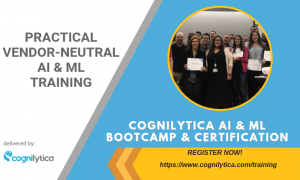 Cognilytica is encouraging our audience to create an easy-to-use skill, let your audience know about it so it can be “enabled”, and be top of mind when customers are using their voice assistants. Already over 25,000 Amazon Alexa skills have been created with more added daily. If you’re planning to keep your customers in the ferocious world of online retail, you will need an Assistant-Enabled Commerce strategy, and 2018 is the year for you to put that strategy in place. So do you think we called this right? Engage with us in 2018 and let us put our advisory, research, insight, and influence to work for you!